In 1995, I became Board Certified in Criminal Law by the Texas Board of Legal Specialization. While most attorneys practice 10, 15 or 20 years to reach the experience level necessary to achieve board certification, I met the rigorous requirements and passed the exam after being licensed for only five years. 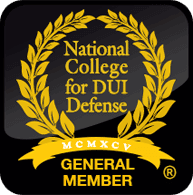 The most effective criminal defense lawyers are Board Certified – Call the Firm for a free consultation about your charges. Board Certification is a voluntary designation program for attorneys and legal assistants. Initial certification is valid for a period of five years. To remain certified, an attorney and legal assistant must apply for recertification every five years and meet substantial involvement, peer review and continuing legal education requirements for the specialty area. The Texas Board of Legal Specialization was created by, and operates under the authority of, the Supreme Court of Texas. Its members are appointed by the President of the State Bar of Texas. The Board administers the program by which an attorney may earn a certificate of special competence in a particular field of law. The program is voluntary and is funded entirely by fees imposed on participating attorneys.